Wow, this phishing season is really stepping up – three attempts today and it’s only early afternoon. 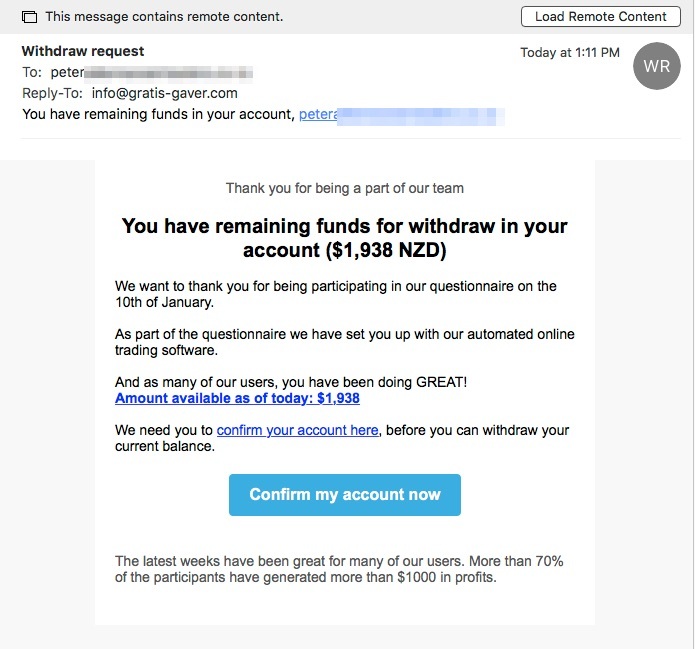 I hadn’t seen this ‘You have remaining funds in your account, [target email address]’ one before, but I got two of them today. Coincidentally, I received them about the same time as I had two calls on my cellphone from Caller ID ‘+00 1 00’. I answered the first call and was subjected to a faint but clear stream of what sounded like a female Asian woman speaking in a language I didn’t recognise. 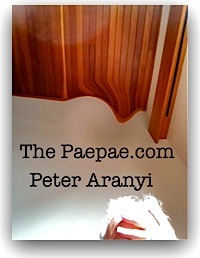 She didn’t respond to anything I said, and there was ringing signal in the background like a call waiting to be merged. I hung up. I just ignored a second call which came in with the same Caller ID. Those calls may have nothing to do with the phishing emails. I don’t know. Naturally, I didn’t respond to this. You shouldn’t either if you receive it. Ridiculous. 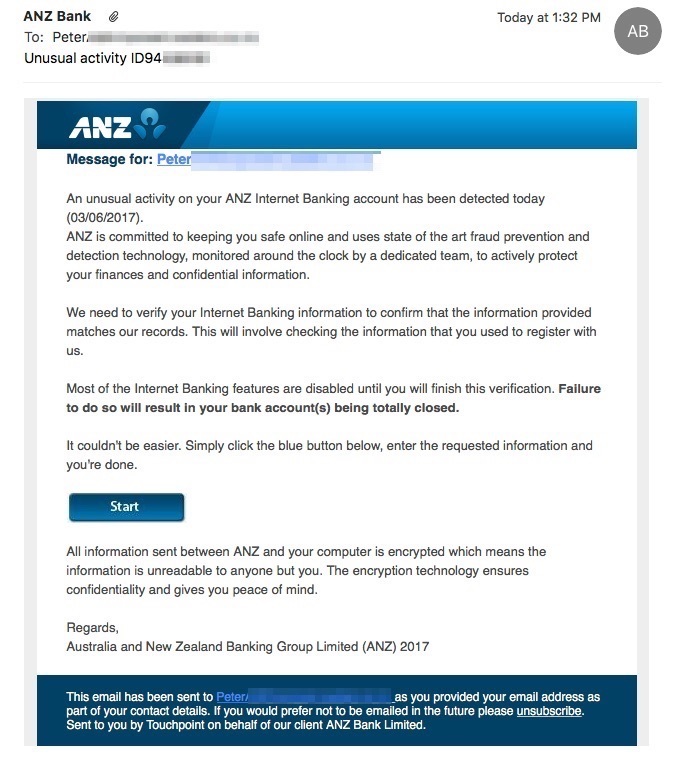 The third phishing email I got (today) purports to be from the ANZ bank. (Similar to this one ‘Another day, another phish‘ earlier in the week, and sent to the same email address as that. Fake fake fake. They really are scumbags doing this. It makes you wonder if any selection process is engaged to identify targets. Probably not.